Lineage. Constituted 328 Bombardment Squadron (Heavy) on 28 Jan 1942. Activated on 1 Mar 1942. Redesignated: 328 Bombardment Squadron, Heavy on 20 Aug 1943; 328 Bombardment Squadron, Very Heavy on 23 May 1945; 328 Bombardment Squadron, Medium on 28 May 1948; 328 Bombardment Squadron, Heavy on 1 Feb 1955; 328 Bomb Squadron on 1 Sep 1991. Inactivated on 15 Jun 1994. Redesignated 328 Weapons Squadron on 24 Jan 2003. 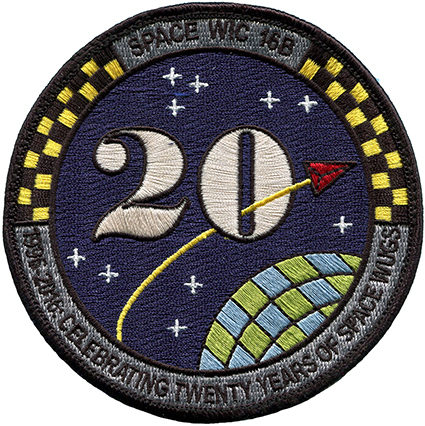 Activated on 3 Feb 2003. Assignments. 93 Bombardment Group, 1 Mar 1942; 93 Bombardment Wing, attached 10 Feb 1951, assigned 16 Jun 1952; 93 Operations Group, 1 Sep 1991-15 Jun 1994. USAF Weapons School, 3 Feb 2003-. Stations. Barksdale Field, LA, 1 Mar 1942; Ft Myers, FL, 18 May-13 Aug 1942; Alconbury, England, 7 Sep 1942; Hardwick, England, c. 6 Dec 1942-15 Jun 1945 (operated from Tafaraoui, Algeria, 7-15 Dec 1942; Gambut, Libya, 16 Dec 1942-25 Feb 1943; Bengasi (Benghazi), Libya, 27 Jun-26 Aug 1943; Oudna, Tunisia, 18 Sep-3 Oct 1943); Sioux Falls AAFld, SD, 26 Jun 1945; Pratt AAFld, KS, 24 Jul 1945; Clovis AAFld, NM, 13 Dec 1945; Castle Field (later, AFB), CA, 21 Jun 1946-15 Jun 1994. Nellis AFB, NV, 3 Feb 2003-. Aircraft. B-24, 1942-1945; B-29, 1945-1949; B-50, 1949-1954; B-47, 1954-1955; B-52, 1955-1994. Operations. Antisubmarine patrols, May 1942-Aug 1942; combat in ETO and MTO, 9 Oct 1942-25 Apr 1945. Participated in the first globe-encircling nonstop flight in Jan 1957. Provided B-52 combat crew training for SAC, through the 1960s and 1970s. Deployed personnel and equipment to Diego Garcia, Saudi Arabia, Spain, and England, 1990-1991; combat in Southwest Asia, Jan-Feb 1991. Campaign Streamers. World War II: Antisubmarine, American Theater; Egypt-Libya; Tunisia; Sicily; Naples-Foggia; Air Offensive, Europe; Normandy; Northern France; Rhineland; Ardennes-Alsace; Central Europe; Air Combat, EAME. Southwest Asia: Defense of Saudi Arabia; Liberation and Defense of Kuwait. Decorations. Distinguished Unit Citations: North Africa, 17 Dec 1942-20 Feb 1943; Ploesti, Rumania, 1 Aug 1943. Air Force Outstanding Unit Awards: 1 Jan 1956-1 Jul 1959; 1 Jun 1962-1 Apr 1963; 1 Jul 1971-30 Jun 1972; 1 Apr 1973-30 Jun 1974; 1 Jul 1983-30 Jun 1985; 1 Jul 1988-30 Jun 1990; 1 Jul 1990-29 May 1992; 2 Aug 1990-11 Apr 1991; 30 May 1992-29 May 1994. Emblem. Approved on 12 Apr 1955.